Maria Vittoria Rimbotti - 2006 Anna Maria Luisa de’ Medici Awardee. Maria Vittoria Rimbotti, a Nelli Awardee, is founder of the Friends of the Uffizi, and a formidable example of patronage in Florence. 2006 Anna Maria Luisa de’ Medici Awardee. A prominent patroness of the arts and president of Friends of the Uffizi, Countess Maria Vittoria Rimbotti was born Princess Colonna di Paliano in Naples. She was named Accademico d’onore at Florence’s Academy of the Fine Arts in 2004. 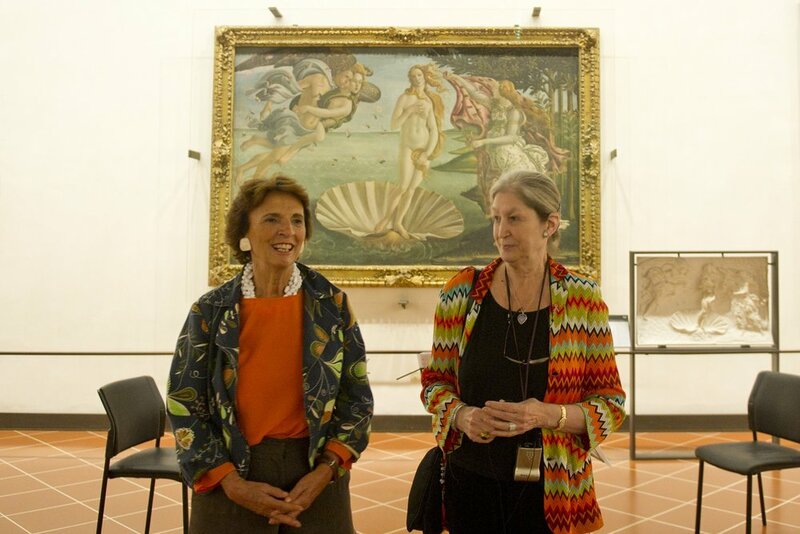 Countess Rimbotti has been the President of the Friends of the Uffizi since 2003. The association was created in 1993 after a terrorist bombing damaged the Florentine museum. Since then, the Friends of the Uffizi has sponsored 112 restoration projects and 115 acquisitions, generating 4.5 million euro to safeguard and uphold one of the world’s most important museums. For its twentieth anniversary in 2013 the association funded the preliminary studies needed for the restoration of Leonardo da Vinci’s Adoration of the Magi. Countess Rimbotti has also served as regional president of the Fondo Italiano Ambiente (FAI) Toscana, a national non-profit organization for the environment. She is also a board member of the Scuola di Musica di Fiesole, one of Italy’s most well-respected institutions for music.